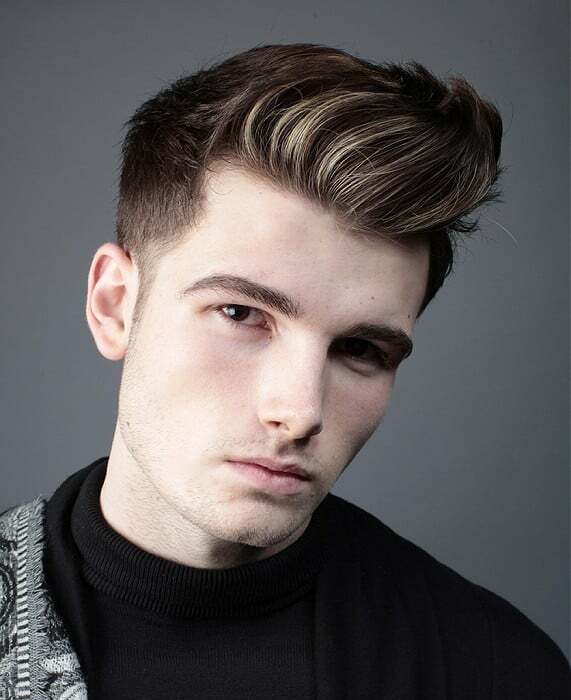 Combining the quiff with a fauxhawk creates a very natural look, which is very simple to style as well. To help the hair stay elevated throughout the day, it is essential to use a product with a stronghold. Cutting the hair a shorter length is what makes this look easy to style. Brushing the hair after styling it will help create the flowy texture.